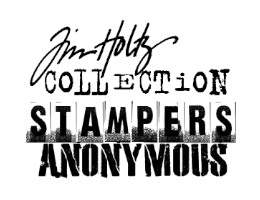 Tim Holtz Rubber Stamp DANCE FOR YOURSELF Stampers Anonymous J2-1333 at Simon Says STAMP! J2-1333 /2.0 This item is on reserve until If you would like to reserve this item now, you may purchase it now with the rest of your order. We will hold your order now and ship your entire order as soon as this item is back into stock. If you would like your order to ship now, please place this item on a separate order. Success, Tim Holtz Rubber Stamp DANCE FOR YOURSELF Stampers Anonymous J2-1333 has been shared! This new stamp has contoured easy grip sides, a quality heavy weight wood mount, and thick foam with deeply etched rubber. It is part of a line of stamps designed by Tim Holtz.This stamp is neatly trimmed and already mounted! It measures approximately 1.75 x 2.75 inches. "Dance for yourself, if someone understands good. If not, no matter, go right on doing what you love.